I wouldn’t say I go looking for cool stuff. It’s not as if I’m methodically searching through every retail outlet or corner store for that extra special piece. But by virtue of my curated RSS and Twitter feeds, all relevant to my interests, I’m always peripherally aware of cool things, and sometimes I go looking. A recent impromptu trip to Malaysia for the funeral of my grandfather was hardly the ideal time for shopping. Reflection, perhaps, either on the traditional Chinese funeral, or the grandfather I didn’t really know, but somehow, we still managed to make the trips to Aeon. Almost every day we were there. 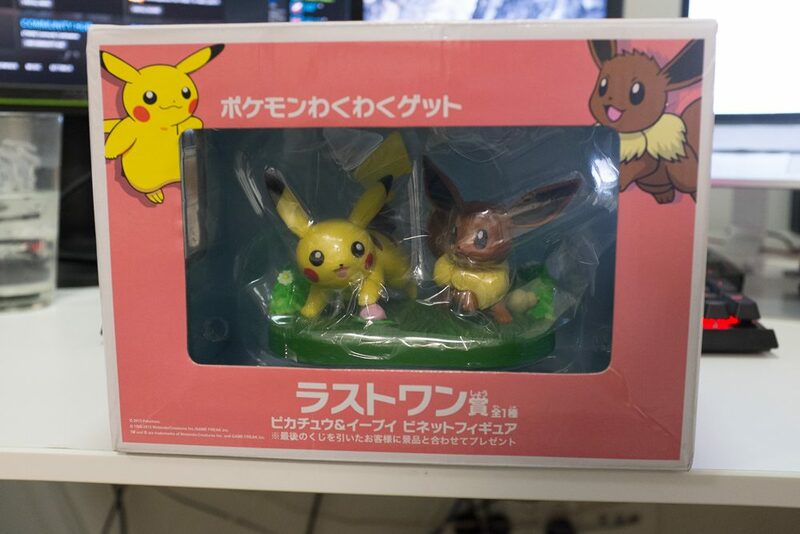 It was in Aeon’s shopping complex that I first saw the Pikachu and Eevee. Not sure if it was cool or not, I borrowed my sister’s internet to look it up. Apparently, it was a promo that was only available via some kind of lottery system at Pokémon Centres in Japan in 2013. I’m entirely unconvinced that what I purchased is the real deal as the box text is slightly different, but eh, it’s a pretty good fake… that I later discovered was super-common, after finding it at a few other shops. Later in the trip I found myself at KLIA2 more than twelve hours before my flight was scheduled to depart. We were dropping off my sister, and after that was done, there was still over six hours to kill before check-in opened, and another eight before my flight was scheduled. We took the KLIA Ekspres to KL Central, then a taxi to Mid Valley Megamall. We go to Megamall basically every time we’re in KL. Truth be told, I was beginning to get a little sick of the place, even if I’ve found some cool Dota-2 stuff there before. Alas, the gaming store that was there before wasn’t there any more, replaced with yet another gaming store that had nothing that was particularly interesting. I thought about picking up the Hypebeast edition CS:GO Steelseries mousepad, if I didn’t find anything else that piqued my interest elsewhere in the mall. But it was on the recently-refurbished (at least, I think it was recently-refurbished, it definitely wasn’t like that the last time we were there in 2015) fourth floor that I found a small gaming store. They didn’t have as much stock as some of the larger stores, but their shelves were crammed with all kinds of gaming gear. 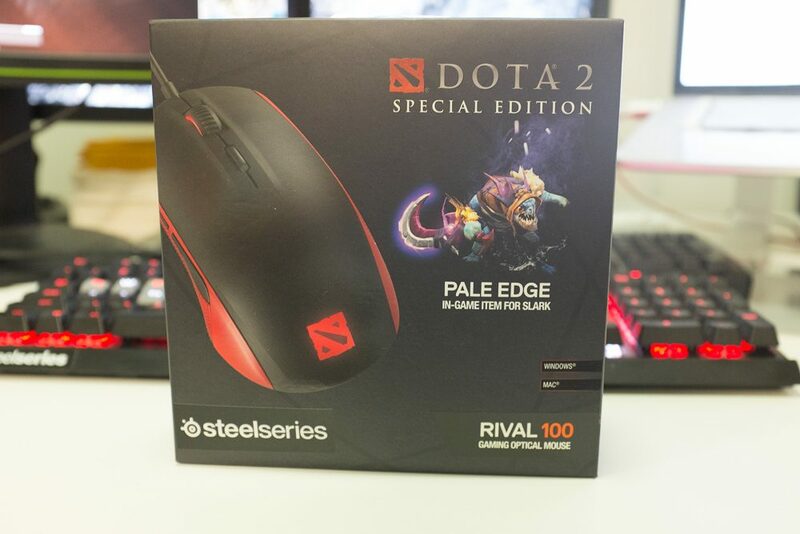 And on one of those shelves, the SteelSeries Rival 100, Dota 2 Special Edition. It was only afterwards that I learned these were originally sold at the Shanghai Major Secret Shop, and later released worldwide. But I’ve never seen it posted online anywhere, so stumbling on it was completely by chance. 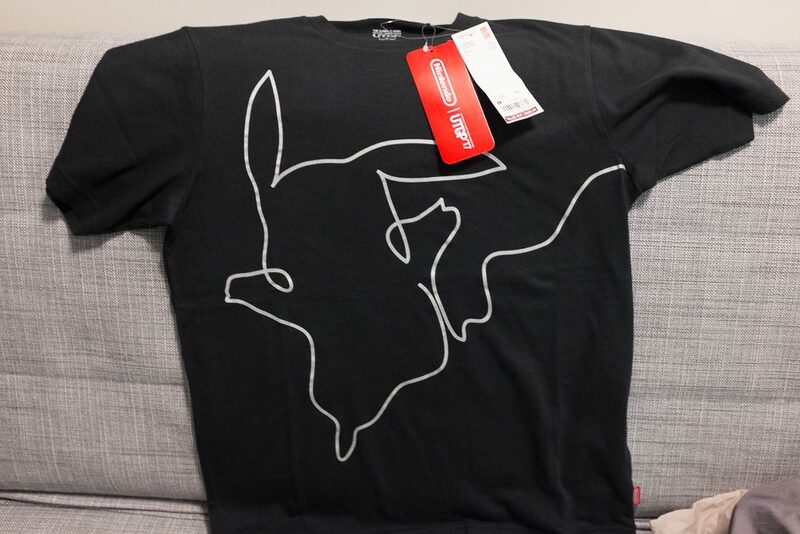 Last but not least, I happened to know that Uniqlo in the US offers Nintendo-themed tees. I’ve never seen them at an Australian Uniqlo, but a quick recon of the Uniqlo at KLIA2 revealed that Asian Uniqlo stores stocked the Nintendo-themed tees. With the hours dwindling, I made one last stop and picked up a Pikachu-themed tee from the collection, completing this trips haul. It’d be a misnomer to say cool stuff finds me. I’m always on the lookout for that next exclusive, unique piece that will somehow make my life that little more fulfilled — if only momentarily — but sometimes, that necessitates a little looking. And most of the time, I’m glad I did. Simplicity is dead, long live Simplicity!